An estate sale attracts a lot of potential buyers. These might be the type of folks who spend every weekend going from yard sale to yard sale looking for treasures that they may keep or resell on their own. With an estate sale, these frequent shoppers know there will be more valuable items being put up for sale. It might seem odd to have people wander through a home that you so familiar with and picking through furniture and other household goods. But this really is the best way to dispose of the bulk of the possessions in a property. What’s left behind will be part of the estate cleanup. That’s a job that Junk King Worcester can be a big help with. The goal of an estate cleanup is to leave behind an empty house. As far as the team from Junk King is concerned it won’t be a challenge to go from room to room and removing whatever remains. This might involve some heavy lifting and stairclimbing but that is work that Junk King does every day. The two-man moving crew who will be assigned to this task will work swiftly and efficiently. They want to make sure everything gets loaded in a single session. If it looks like they might need extra help, then they will call in reinforcements. It is not uncommon for these big types of estate cleanups for Junk King to utilize all their crews to get the job done. The fee for this work will be based on how the truck is filled up. The junk and crew will play a big role in determining what that final fee will be. They will know just how everything will fit together on the truck. What might look like it takes up the full truck might only utilize half the space once the Junk King crew has packed it all up. That will save you money in the end which is another goal for Junk King! An estate cleanup won’t be a challenge when you bring in Junk King Worcester from the start. Call for an appointment today. This entry was posted in Worcester Junk Removal and tagged estate cleanup, Junk King, junk removal on March 31, 2019 by Junk King. Last updated March 31, 2019 . If you are planning to move offices, then you want to apply the same important principle as you would when moving into a new home. That would be making sure that you don’t move with junk. Around your office, you probably have several pieces of furniture like old desks and chairs that are no longer being used by anyone. They’ve either been replaced or damaged. You know you can’t put them into the dumpster and so you’re stuck hanging onto them. When you move into a new workspace you definitely don’t want to start out with clutter. Junk King Worcester can help with that old office furniture problem and a lot more. Even if you are not moving you would still benefit from hiring Junk King to help you clear out your old office furniture. You don’t have to stop there. What else are you holding onto that is of no practical use to your business? They could be all kinds of office equipment and files that are no longer needed. All of this can be turned over to Junk King in a single appointment. You might even create enough space to set up another workstation! When you turn items over to Junk King their final destination won’t automatically be the nearest landfill. Junk King has dedicated itself to putting green disposal practices into action with every pickup. The crews working for Junk King all have proper training to recognize those items that can either be donated to a charity or dropped off at a recycling center. All of that old office equipment would certainly qualify for e-waste recycling. Those files and other items can also be recycled. This will allow you to promote your company as someone who recycles everything not just plastic bottles! When you are ready to set up your appointment with Junk King you will find that they like to get things done fast. 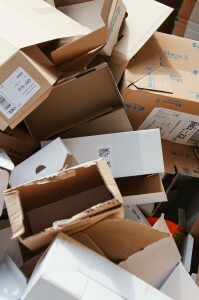 The phone call you make today could result in having all your office rubbish removed by tomorrow. If it works better to have the Junk King team coming on the weekend, then they can make that happen. The goal is to have this entire process be as effortless as possible for you. Old office furniture and equipment can be removed safely and efficiently by the team from Junk King Worcester. Are you ready to clear the rubbish out of your office? This entry was posted in Worcester Junk Removal and tagged Junk King, junk removal, office on March 27, 2019 by Junk King. Last updated March 27, 2019 . If you are planning a “floor to ceiling” type of spring cleaning this year, then it is a terrific opportunity to get the entire home organized. The simple act of removing everything from the cabinet, cleaning the cabinet and then putting everything back lets you organize that space by editing out the things you don’t need. You might discover some items that you forgot you had. What you could be left with is a cabinet that is clean and stocked with items that are easy to access. All the “leftovers” would be the things you can get rid of. Now, take that same approach with every cabinet, drawer, dresser, closet and shelf in your home. Yes, this can be a big project but one that can truly transform your living space. At the end of your spring cleaning, you will be left with a lot of items that need to be taken out of the house. That is when to hire Junk King Worcester. Junk King Worchester is going to provide a team of movers and a big truck. There is not a lot more that you need to get rid of just about anything in your home. All the bags and boxes of the little things you edited out of your storage areas can be the first to be loaded onto the Junk King truck. That doesn’t have to be the end of the process. Because you have those movers and the truck space you can now get rid of some of the bigger items that you been holding onto. Perhaps you have an old television down the basement or some furniture pieces up in the attic that you’d like to get removed once and for all. Those are perfect things to give to the Junk King team. Everything that goes on the truck is going to be packed up tightly. The goal for the Junk King crew is to get a lot of things into as little space as possible. They do this so they can have room for another pickup. They also do that kind of packing so that you’ll pay the low end of the price scale. You’ll know the price before the work begins because the crew is great with estimating how they can pack up that truck. This year, make your spring cleaning count by getting rid of all the junk in the house. Junk King Worcester can help with that goal. This entry was posted in Worcester Junk Removal and tagged Junk King, junk removal, spring cleaning on February 28, 2019 by Junk King. Last updated March 2, 2019 . There is a lot of cleanup around the house that can be taken care of with a roll of paper towels and a spray bottle of disinfectant. However, there may be some bigger cleanup jobs on the horizon that no amount of paper towels can help with. If you are thinking about any type of remodeling project or us thorough decluttering of your home from top to bottom, then you’re going to need a junk hauler. The right junk hauler for any type of cleanup in the home, office or apartment will always be Junk King Worcester. What makes Junk King the right junk hauler for your cleanup project? It starts with having the right attitude. The crews working for Junk King are extremely courteous and friendly. They treat your home with the same amount of respect that they would want their own property treated with. Their priority is to help you get rid of any item inside your house regardless of weight size. But that doesn’t mean dragging it across the floors. They are going to take the time use the best moving method that comes with years of experience. Remember, the Junk King crews a licensed and insured. That sets them apart from any other junk hauler. Junk King is also the right junk hauler because of how they dispose of what they collect. They been dedicated to an eco-friendly way of getting rid of things ever since they began collecting junk over 14 years ago. It is more important for Junk King to drop off items at a charity or recycling center then it is to make a quick trip to a landfill. Anytime you can avoid dumping trash into a landfill you will be helping the environment. That has always been the goal of Junk King. You also want your junk hauler to move fast. Once you decide to get rid of something you don’t want to wait another few weeks for an appointment. Junk King will typically complete a pickup with an average 24-hour turnaround. In some cases, they even provide same day pickup. When you have a big cleanup you can always count on Junk King Worcester to be the right junk hauler for that job. This entry was posted in Worcester Junk Removal and tagged junk hauler, Junk King, junk removal on February 25, 2019 by Junk King. Last updated February 25, 2019 . Property managers are really problem solvers. Once a tenant has moved into an apartment or home that they are managing, it becomes the responsibility of property managers to solve all the problems that renters might have. These can be minor plumbing issues or major exterminating challenges. The goal is to keep the tenant in that space as long as possible. That is what generates revenue and that is how everybody gets paid. When the renter does move out, the next problem the property managers have to solve is finding a new tenant. That means getting space ready to show. If that previous occupant has left some rubbish behind, then that can slow things down. Enter Junk King Worcester. One call to these junk hauling pros and any amount rubbish can be gone in no time at all. Every appointment set up by Junk King will include a team of movers that have been licensed and insured. This is exactly the kind of professional service personnel that property managers appreciate working with. When it is time to set up the appointment, you pick the day and time that works best for your busy schedule. Junk King asks that you set aside a two-hour window. This allows the crews to get from one location to the next. And they will always keep you informed of their progress which means you won’t have to be waiting around that the property. Once the team shows up you can point out all the things that need to be cleared out. That is when the present you with estimate of the cost. This would be based upon how the going to pack up the truck. Once that price is agreed to everything will be locked down and there won’t be any extra charges. In fact, you can probably leave and let the crew do the cleanup. They don’t need a lot of supervision! The quicker the property managers call in Junk King Worcester, the quicker they can get those rental spaces clear of rubbish. Put the Junk King crew to work today! This entry was posted in Worcester Junk Removal and tagged Junk King, junk removal, property managers, rubbish on January 31, 2019 by Junk King. Last updated January 31, 2019 . When a home runs out of room the homeowner has a few options. They can convert the garage or attic into a practical living space. They can build an addition on to the house that can even be two floors. That takes care of adding a new bedroom or home office but what about storage space? You probably don’t want to build an entire new room just to put stuff into. Instead, consider a session with Junk King Worcester. It will only take one appointment with these junk hauling pros to open up all kinds of storage space in your home. Your appointment with Junk King is actually going to be with two movers. This is a very capable team who can lift and load practically any object regardless of size or weight. All the they ask is that you know specifically what you want removed before they show up. Don’t worry if something is upstairs or down the basement. The team from Junk King will find a way to get it out of the house and onto the truck. The best approach you can take is to not only designate the big items that can go but also all the little stuff as well. Take the time to go through your closets and garage sorting through boxes of stuff. You are sure to find plenty of things that you can get rid of. Each item that you turn over the Junk King opens up just that much more storage space around the house. Even when you are keeping important things like holiday decorations and seasonal clothing, you’ll find that with more storage space you can condense and organize those things for better access. What might take up the space of six boxes can be packed into two boxes. That can be a storage space game changer! The cost for hiring Junk King will be based on how they do their own packing. The less space they use for your stuff on the truck, the less you’ll be paying. The Junk King crews are always dedicated to making a fair deal for junk removal. The quickest way to open up more storage space in your home is to give your rubbish to Junk King Worcester today. This entry was posted in Worcester Junk Removal and tagged Junk King, junk removal, storage space on January 26, 2019 by Junk King. Last updated January 26, 2019 . Junk King Handles Christmas Tree Removal, Too! Junk King customers are always pleasantly surprised at how efficiently this professional junk hauling service operates. There isn’t any type of item that junk King hasn’t removed in its years of collecting unwanted items from homes, apartments and businesses. Yes, there have been a few “scary” cleanups but for the most part the Junk King teams are happy to help folks clear out all the rubbish they’ve collected over the years. There also great with cleaning up after remodeling jobs and construction projects. One type of hauling service provided by junk King is something you might not expect: Christmas tree removal. 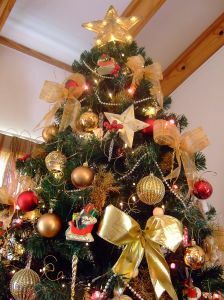 Yes, you can get rid of your Christmas tree without any hassle with one call to Junk King Worcester. Most of the big items that are removed from the property require two movers. The same can be said for a Christmas tree. To prevent it from dragging across the floor and scratching up a finish or getting a carpet dirty, two movers can swiftly carry the tree out with the only evidence being a few dropped pine needles. If all you want to get rid of what you Christmas tree, then there’s a huge benefit by hiring junk. That is scheduling. Junk King works on your time that you don’t ever have to feel rushed to get your tree out to the curb on a specific day. Take your time removing the decorations and when you’re ready put in the call to Junk King. You might discover they even have a same day pickup available. The other benefit of hiring Junk King to take care of your Christmas tree removal is what else they can remove in the same session. This is a wonderful chance to finally get rid of some of those bulky items you have around the house. If you’ve been putting your decorations back in storage, then you might notice a bunch of things that can be tossed out that you no longer using. The same can be said when you’re hanging up all those outfits you got for Christmas. A little sorting can go a long way towards freeing up a lot of storage space in your home. Don’t just shuffle around stuff. Give it all to Junk King. When you need your Christmas tree removal and junk hauling taken care of in a single session, you can always count on Junk King Worcester to get it done. This entry was posted in Worcester Junk Removal and tagged Christmas tree removal, Junk King, junk removal on December 31, 2018 by Junk King. Last updated January 1, 2019 . As you were getting ready for Christmas did you utilize any outside help? Maybe you hired some carpet cleaners to get the home ready for holiday open house. Perhaps you even went with caterers. There are some folks who prefer to let professionals climb up the ladder to hang lights around the house. There’s nothing wrong with getting help like that. You can also say the same about your post-Christmas cleanup. After assessing all the new things that come into the home in the last couple of days versus all the stuff taking up space it might be time to bring in some help to get all the unwanted stuff cleared out. The best help to hire for that task is Junk King Worcester. Junk King has just what you need to clear your home of any amount of rubbish. They’re sending over a team of movers and a big truck. This is the crew who can clear out the attic of any unwanted furniture will bring an old dryer up from the basement. You could literally have the Junk King crew going to every single room in your home to remove something whether it’s a big piece of furniture or a box of clothing from the closet. They can move fast and that’s just the way it should be for this type of job. Can you visualize how all your stuff will fit on the back of the truck? You might not be able to but the Junk King crews have been trained to do just that. After you show them all the things you want to get rid of, they’ll know how much space it will all take up. Based on that they’ll be able to provide you with an estimate for the fee. That flat fee not only includes the labor and transportation it also the disposal. That is actually the most time intensive part of this entire process. The reason for that is that Junk King. likes to avoid going to a landfill. Instead, they might make several drop-offs to charities and recycling centers throughout the area. It just depends upon which facility is looking for which particular item. Of course, you don’t have to worry about any of that. As far as you’re concerned, your job ends when the Junk King crew drives away! Your post Christmas cleanup will be made a lot easier when you hire Junk King Worcester to lend a hand or two. Give them a call today. This entry was posted in Worcester Junk Removal and tagged Junk King, junk removal, post Christmas cleanup on December 27, 2018 by Junk King. Last updated December 27, 2018 . 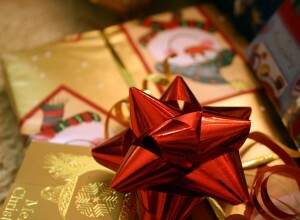 At this time of year, you can’t turn on the television or open a website without getting a suggestion for holiday gift. Some of those suggestions might actually be just what you’re looking for. However, not every “as seen on TV” gadget is practical for the people in your lives. Sometimes finding the right holiday gift means looking beyond what is considered as a traditional gift. For instance, do you know someone who would benefit from having the junk removed from the house? Yes, that can be a great holiday gift from Junk King Worcester. The person that you are giving this junk removal gift to might have never heard of Junk King. Perhaps, this is your first time, too! Junk King works with a very simple principle: they do all the work. That means the two-man moving crew who will be sent over to take care of the session is going to do all the lifting and loading. This can make a huge difference when it comes to deciding what you want to get rid of. You don’t have to hold back suggesting that Junk King take something from upstairs to get rid of. They can also bring stuff up from the basement if that’s what you want taken away. Now imagine that special person in your life and how they would benefit from having this kind of service in their home. In addition to all the junk clearing the team from Junk King can do on the inside of the house, they can also do a lot of pickups around the yard. Before the next snowstorm buries rubbish let Junk King get it cleared out. The cost for this service will be based upon how much you’re getting loaded onto the truck. It is not about weight but about the volume. The Junk King crews like to pack things up very tightly. That will generate the low fee on the price scale. You’ll know what that fee is before the actual work begins. And there won’t be any surprise charges at the end job. One of the best gifts you could give to someone special in your life would be a junk removal session from Junk King Worcester. It can make a world of difference around the house. This entry was posted in Worcester Junk Removal and tagged gift, jjunk King, junk removal on November 30, 2018 by Junk King. Last updated December 1, 2018 . The good news with cleaning your home around the holidays is that you can usually get the younger kids to pitch in because of the fear that Santa Claus is watching. Of course, you might not get as much “deep cleaning” that you would hope for. If you really want to get serious about taking your home ready for the holidays then you want to book a session with Junk King Worcester. These are the junk hauling pros that can make holiday preparations a breeze. Junk King will supply you with all the manpower that you need to get rid of just about any heavy object in your home. That manpower breaks down to two friendly movers who have been licensed and insured. This is a team that can carry sofas down from upstairs or bring an old water heater up from the basement. They are also great at solving problems, too. If you have something that’s too bulky to fit out of the door, then the Junk King crew will find a way to take it apart so that he can be loaded up on the truck. How things will be loaded onto the truck will also determine how much you pay service. Junk King has a price scale that is based on how the truck gets packed. The goal for the crew is to get as much in to as little space as possible. That allows them to make several pickups throughout the day before returning to the depot. The less room they take up, the less you pay. You know that prices before the work begins at the will be a surprise charges at the end of the job. The Junk King crew also likes to work fast. Most customers are surprised at how quickly the teens can clear out the home of all their unwanted junk. They’ll also keep you appraised of their progress throughout the day so you know exactly when it will “land” at your home. Hiring Junk King Worcester is going to make a big difference for your home holiday preparations. Book a session today. This entry was posted in Worcester Junk Removal and tagged holiday preparations, Junk King, junk removal on November 24, 2018 by Junk King. Last updated November 24, 2018 .